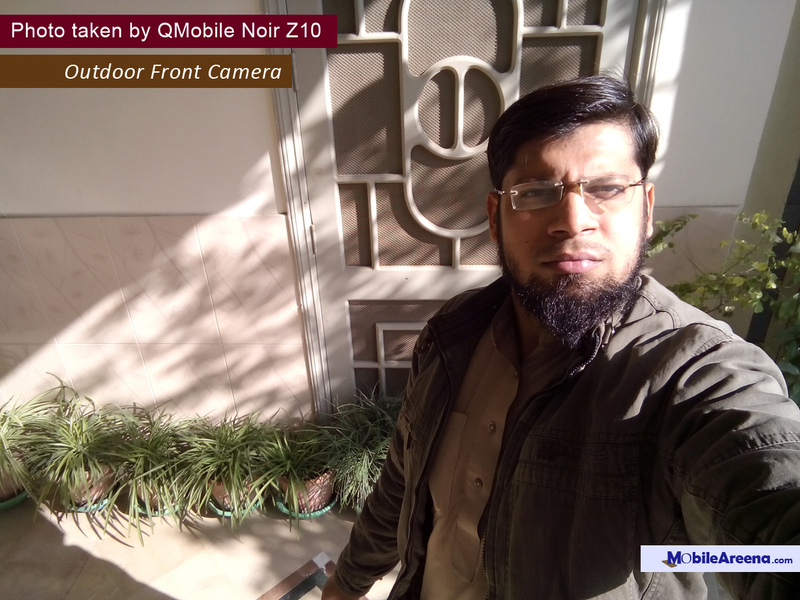 QMobile is very much excited to present smart phones with latest technologies and such internal stuff that could offer faster speed than the previous models. 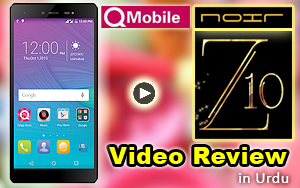 QMobile Noir Z10 is one of such smart phones which can give you a true taste of Android Lollipop 5.1 with its 3GB RAM. 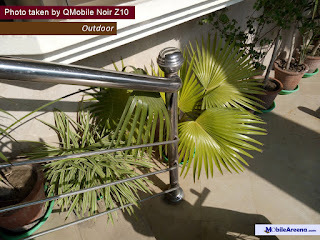 Before Noir Z10, QMobile has released many smart phones with Android Lollipop but none of them is truly capable of handling the Lollipop version of Android because of low RAM inside them. 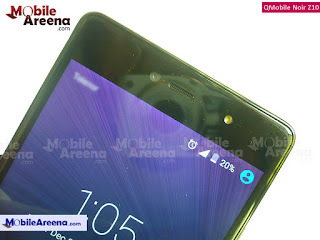 Noir Z10 tells you in very first use that it is different than its little brothers in Noir family. 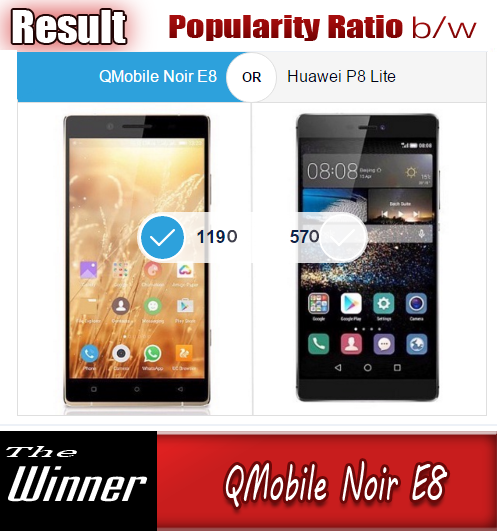 We have read somewhere that QMobile is telling a lie that Noir Z10 has 3GB RAM but we want to clear you here that we have tested this phone and QMobile Noir Z10 is truly has 3GB of RAM inside it. 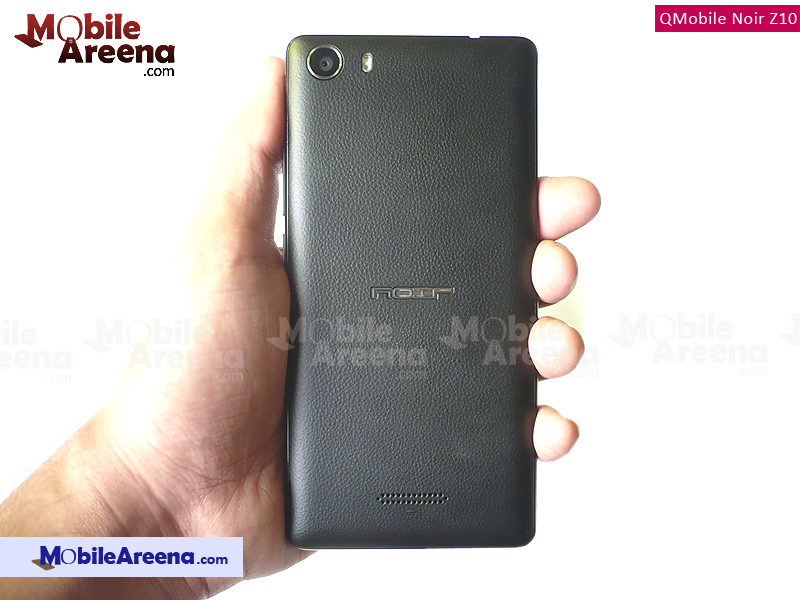 The body of NOIR Z10 is made up with laminated material. This feature adds charm and beauty to this mobile. First of all its grip is very strong in hand and it does not tend to slip from your hand. Its body is somehow bulky at 145g but its overall expression in your hand is awesome. 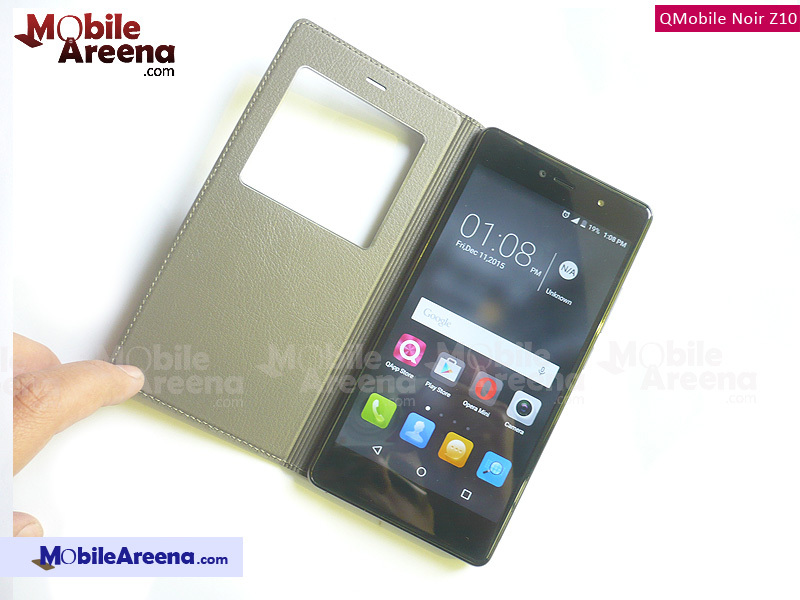 This phone has 5.2 inches screen with oily glass coating. Gorrila Glass 3 is there to protect its surface from scratches and other minor damages. The display is very much visible in direct sunlight. It has 1080x1920 pixels resolution that is really fine and give very much crisp view. 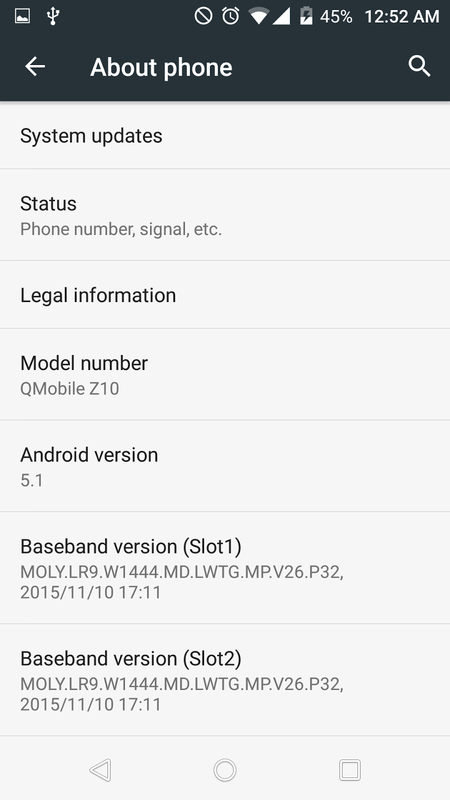 It does not have AMOLED display but overall experience of display is not bad. 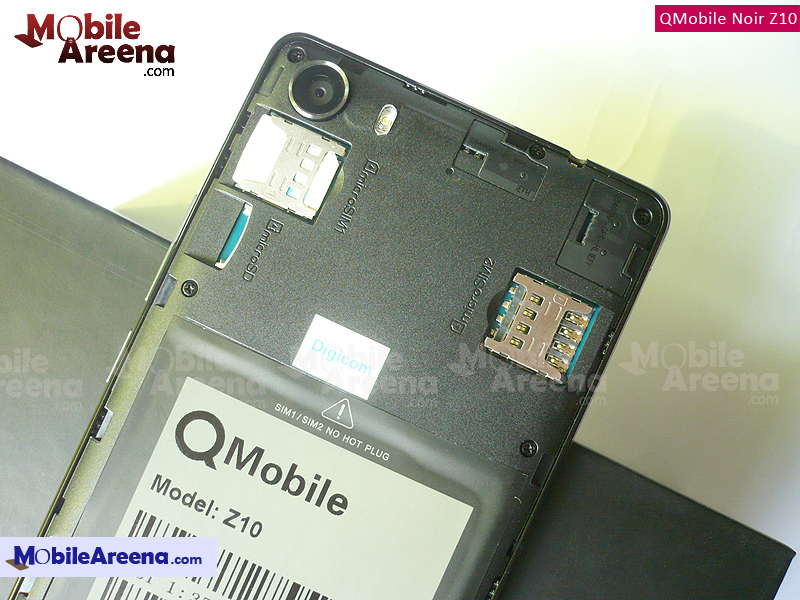 It is Dual-sim phone. 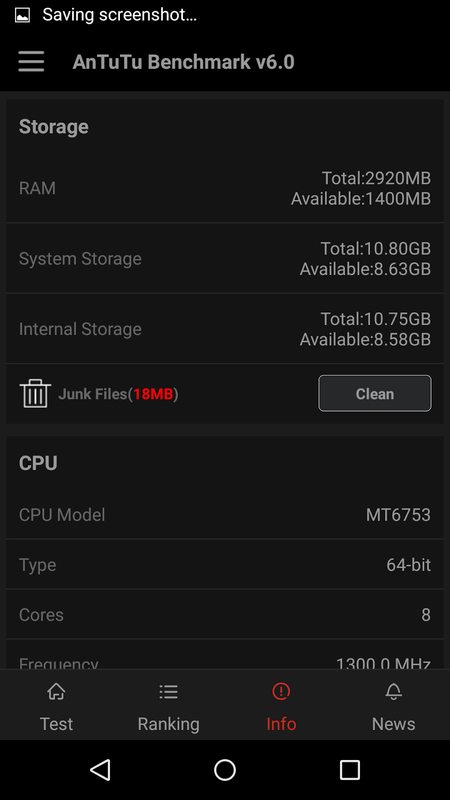 Internal memory is 16GB and RAM is 3GB. You can also enhance its memory with a memory card. It support memory card upto 128GB with ease. It also offers you USB On-The-Go feature, with which you can also use your USB-Stick as external memory whenever you feel its need. 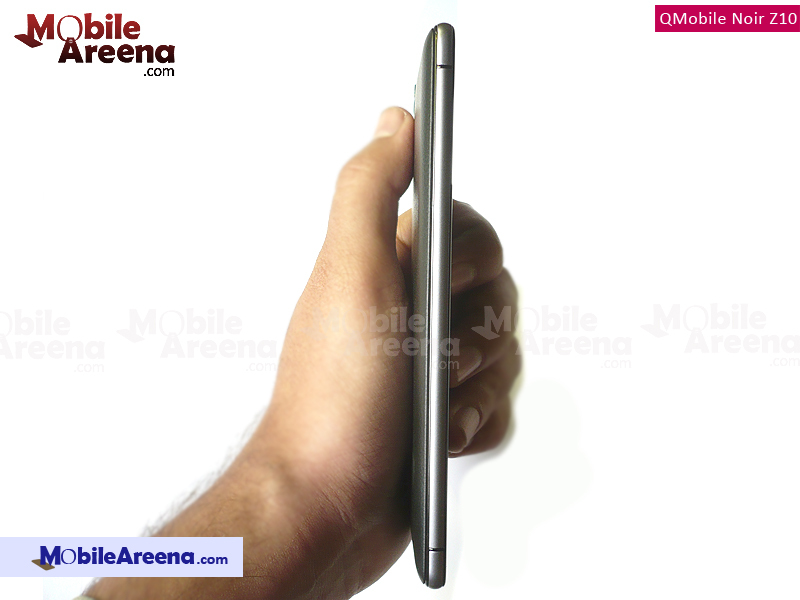 It has 1.3 Ghz Octa-core (64-bit) Cortex A3 processor. 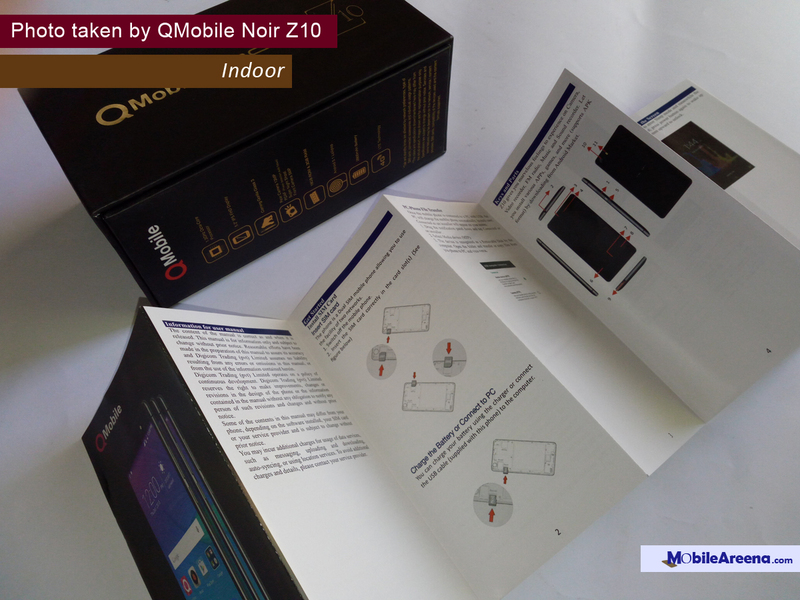 NOIR Z10 is equipped with an Media Tek MTK-6753 chipset. 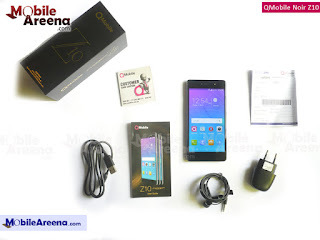 It is an excellent addition in Octa-core phones of Noir family. 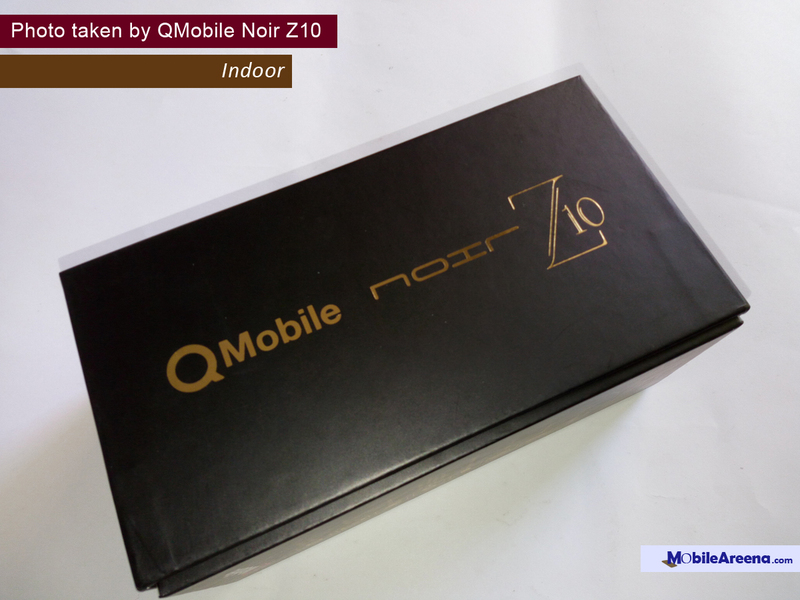 In its retail box, it presented nice stuff like the Noir Z10 handset, hands free, guide book and QMobile service centers' contact booklet and a free smart cover. 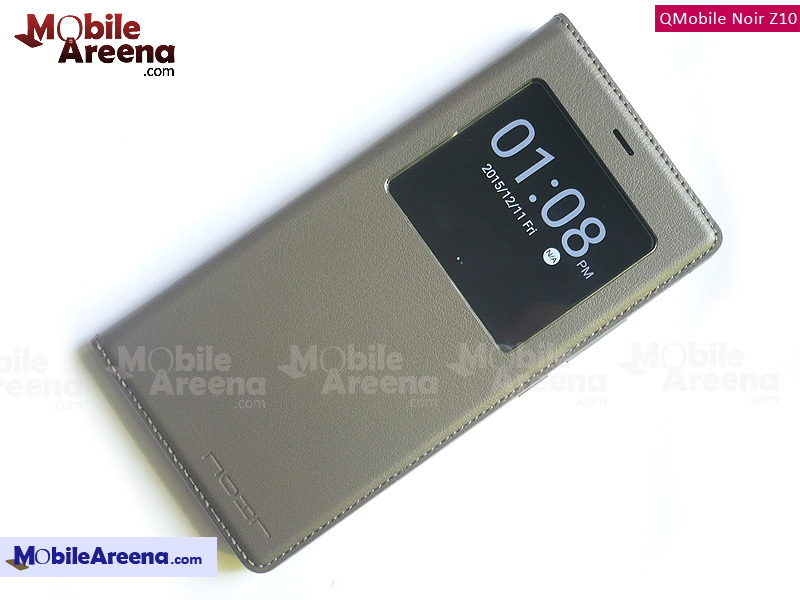 The smart cover is an active one and it automatically lock and unlock your phone on closing and opening it. It is a graceful cover when you apply it on the phone, the phone looks very attractive. 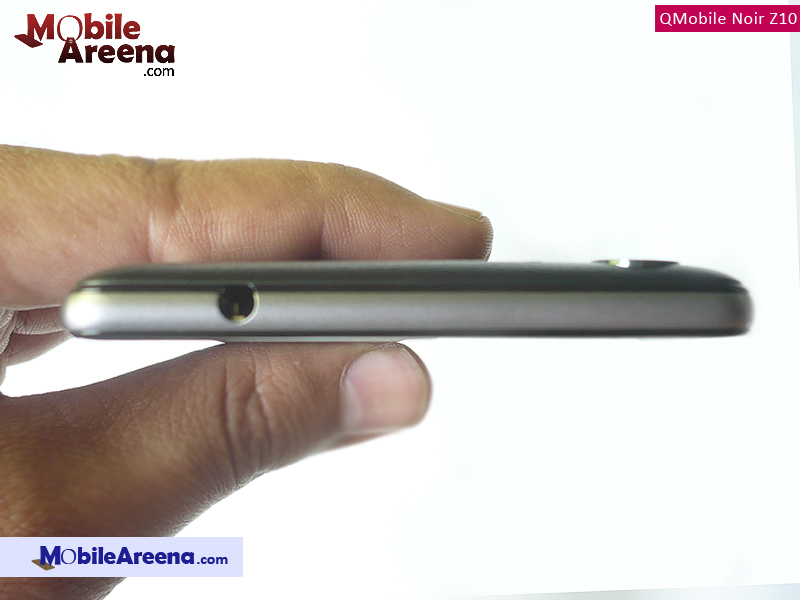 You can apply the smart cover on it by removing its back cover. 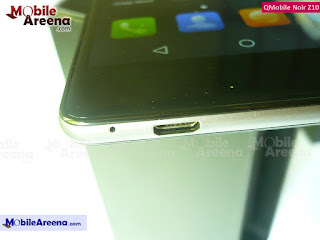 Then the back side of the cover will become the battery cover of your Noir Z10. Through the window of smart cover, you can watch time and date, answer a call or reject it and play or pause an audio track. 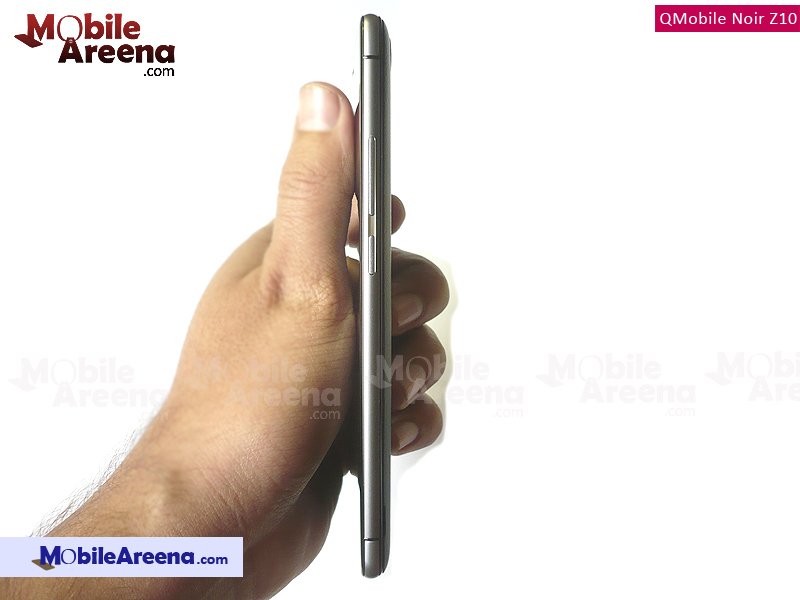 On the front side, this phone has a large 5.2 inch screen. An earpiece, a front-facing camera, flash light, a sensor and a notification light are the things that are present above the display. 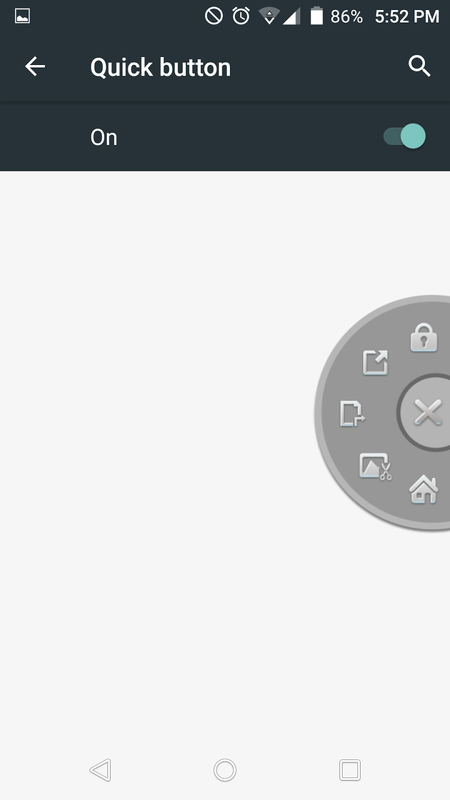 The three typical Android button are located inside the screen. 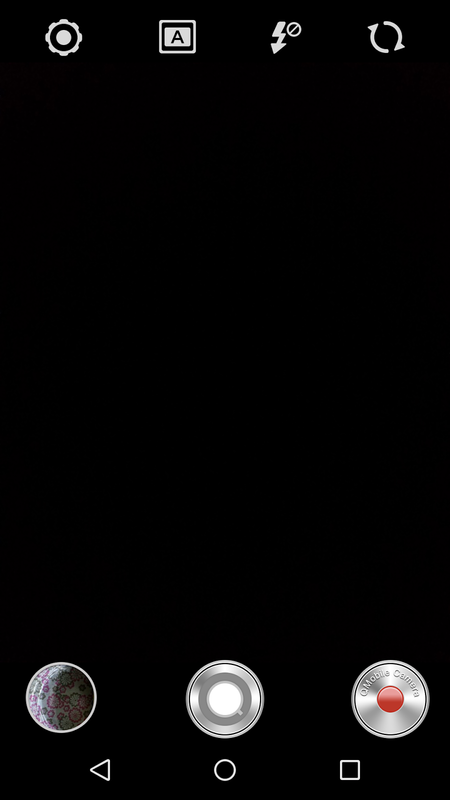 So you can not see the buttons when screen is off. On Right side it has a power/Lock button and Volume rocker. Left side is empty. 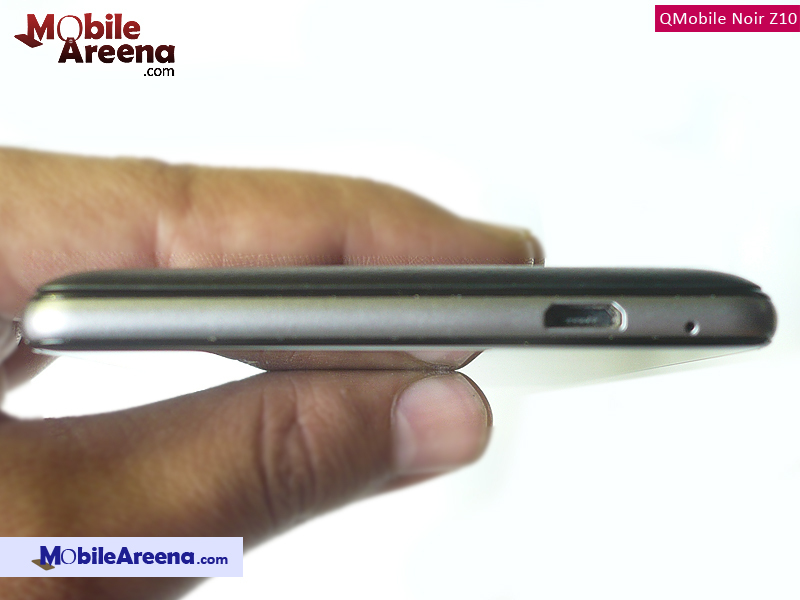 On top side it has 3.5mm audio jack and on the bottom, it has a microphone and charging/data transfer port. 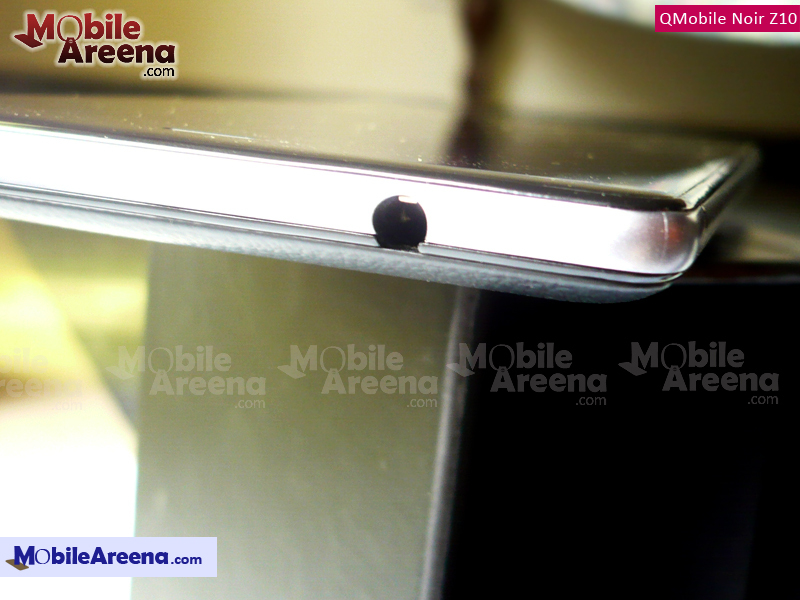 On the back side of this phone, you can find, a camera lens with vivid flash light, a noir logo and a speaker grill. 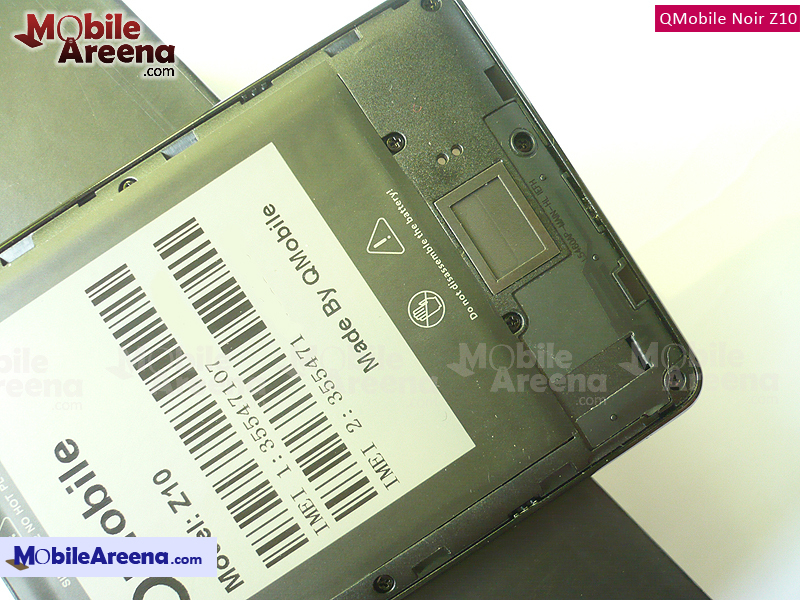 If you remove back cover, you find two sim card slots, a memory card slot and a large 2900mAh battery which is not user removable. 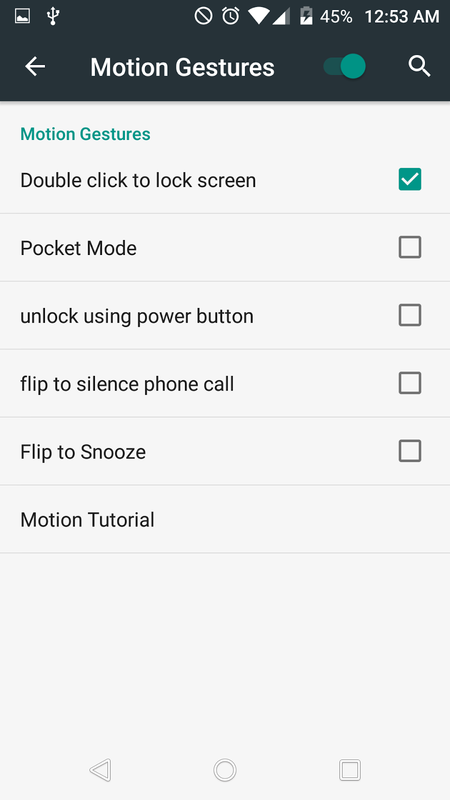 This phone has typical Lollipop Lock Screen that you can swipe upward to unlock it. It offers all the apps on the home page like iOS. 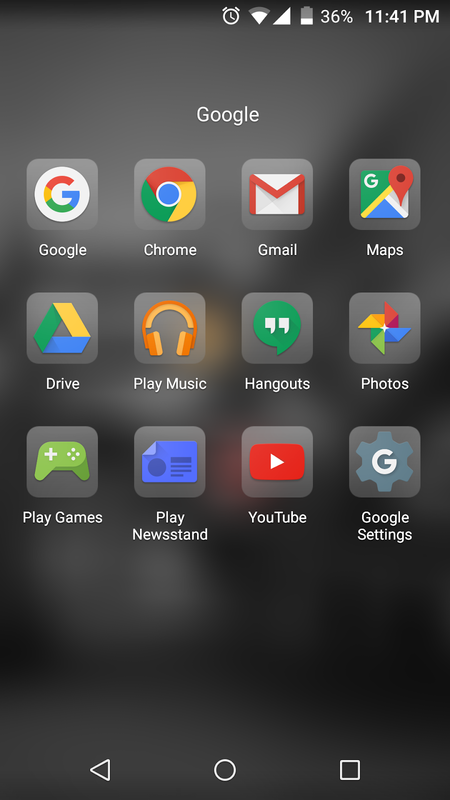 There is no separate app menu. You can go in editing mood by swiping the home page upward. There appear Wallpapers, Gadgets and Effects on the bottom. 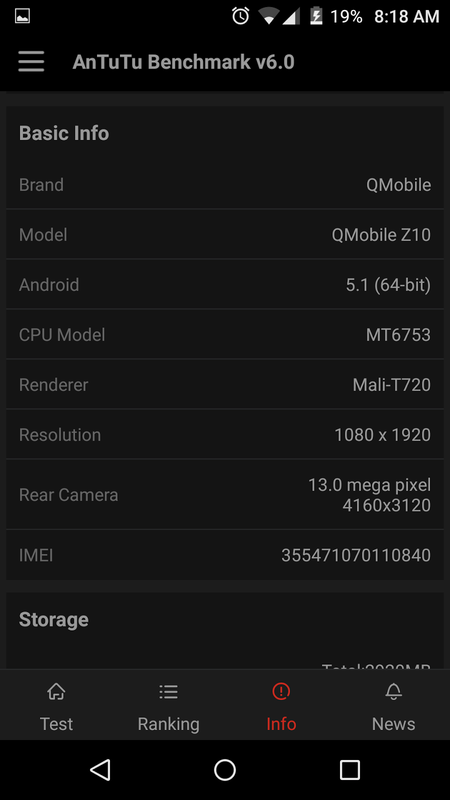 When you select a wallpaper to apply, it asks you to set the blur quantity and where would you like to set the wallpaper. 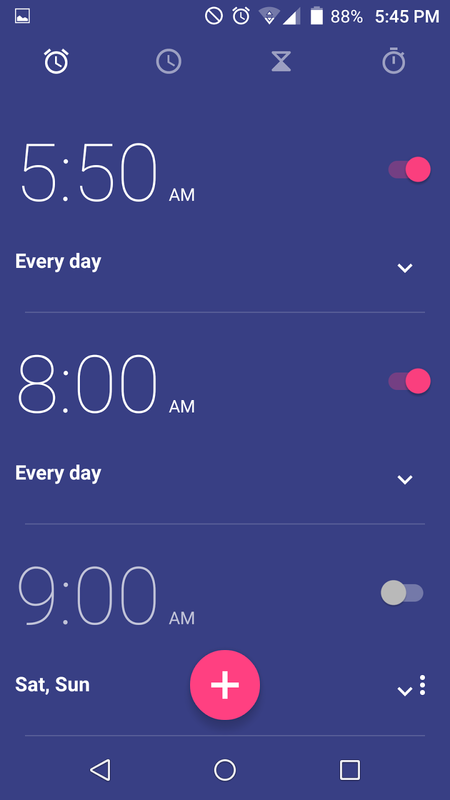 On only home screen, on only lock screen or on both screen at the same time. 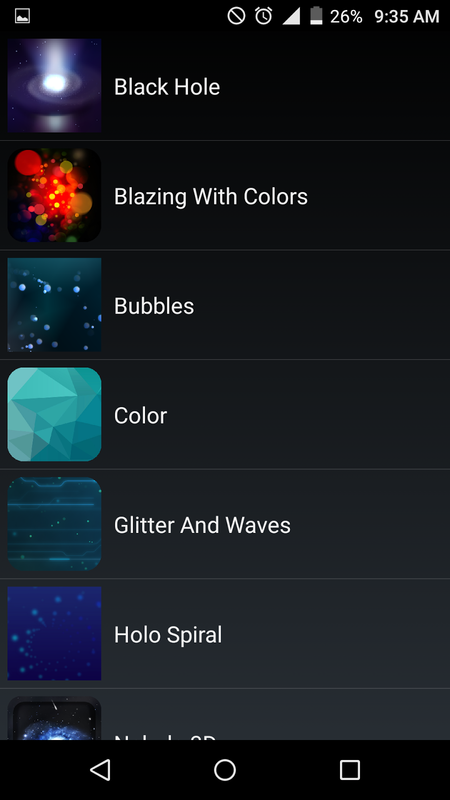 You can also add live wall papers on it. Noir Z10's dial pad is large enough and all the digits are easy to press. 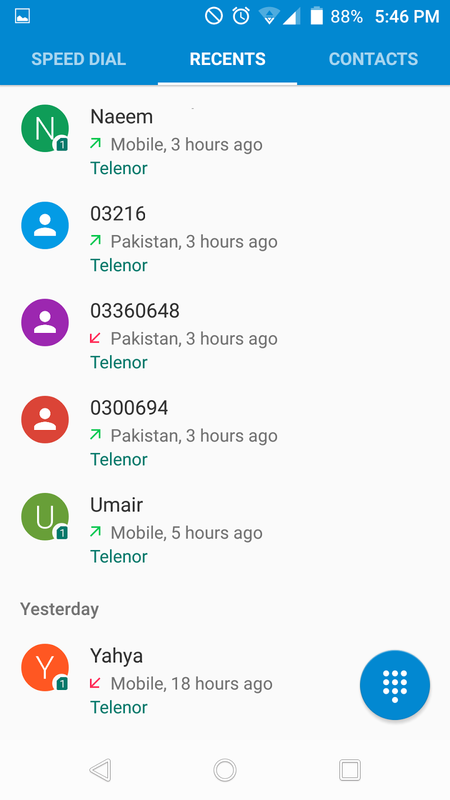 Its call history area has three pages. 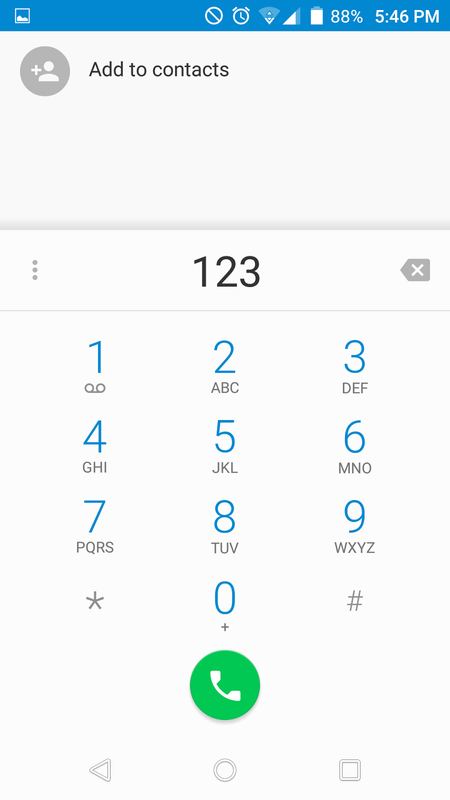 First for Speed Dials, second call history and third one is your phone book. You can swipe among them easily. 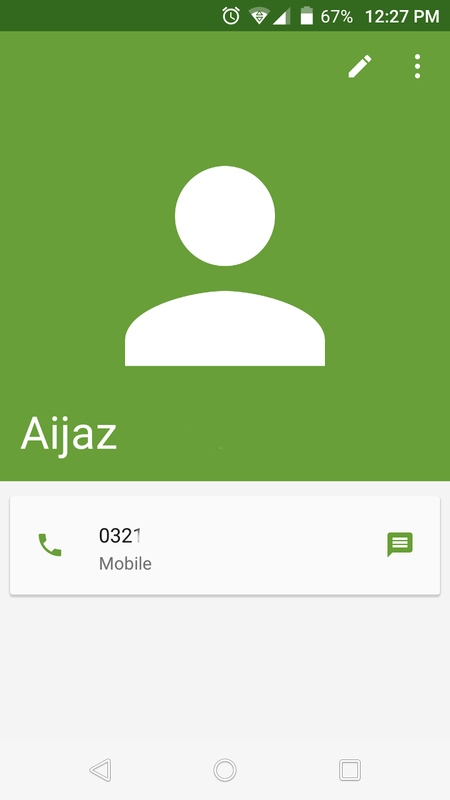 A search box always remains at top to search any of your contact any time. Message area is also very charming and cool. 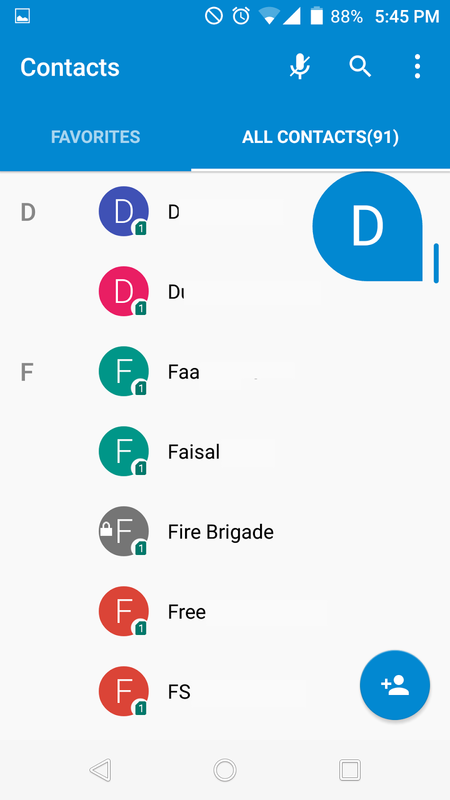 There is facility to delete multiple thread at the same time. 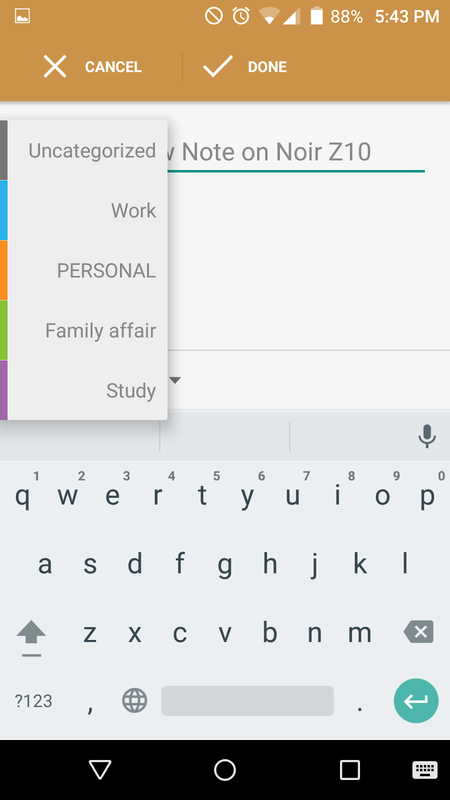 You can also use swyping in google keyboard. Key board is very much sensitive and shows much accuracy during typing. 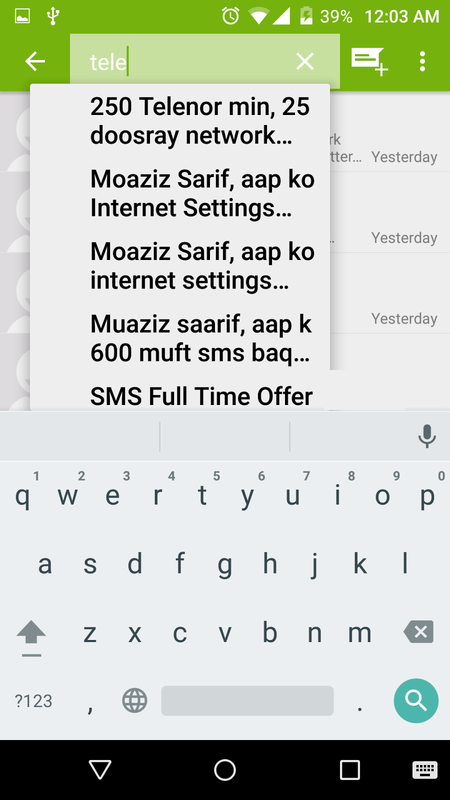 There is also many other language keyboards in it including Urdu and Chinese. 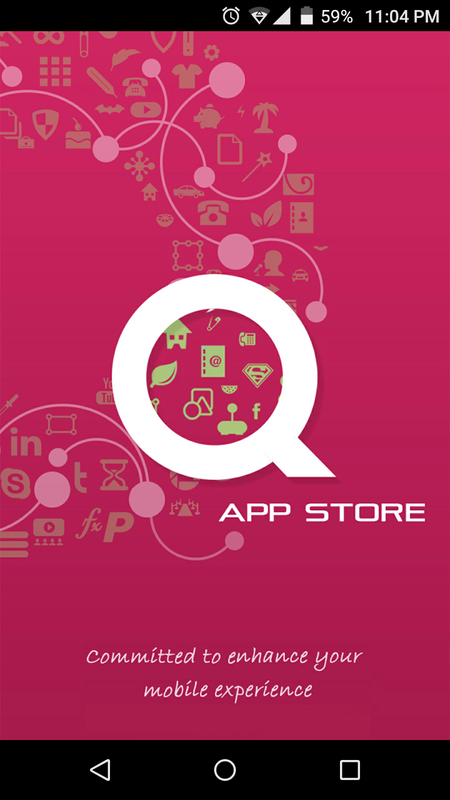 QMobile has introduced another thing in Noir Z10, the QApp Store. 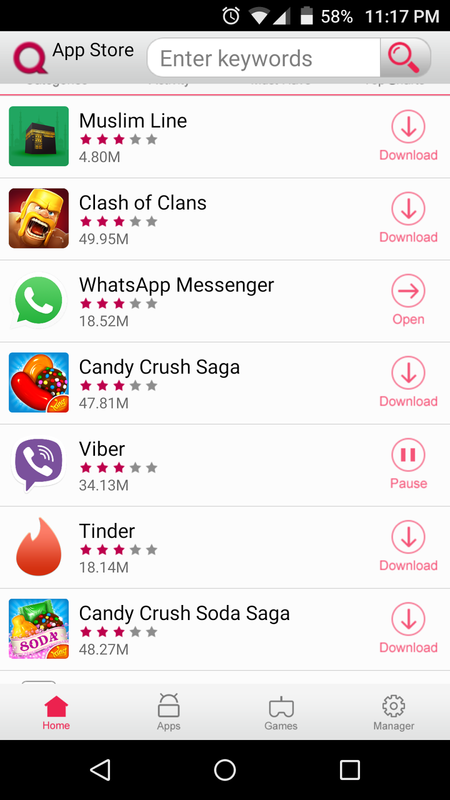 It is an application that suggest you the best apps in all categories and you can enhance your experience by downloading them. 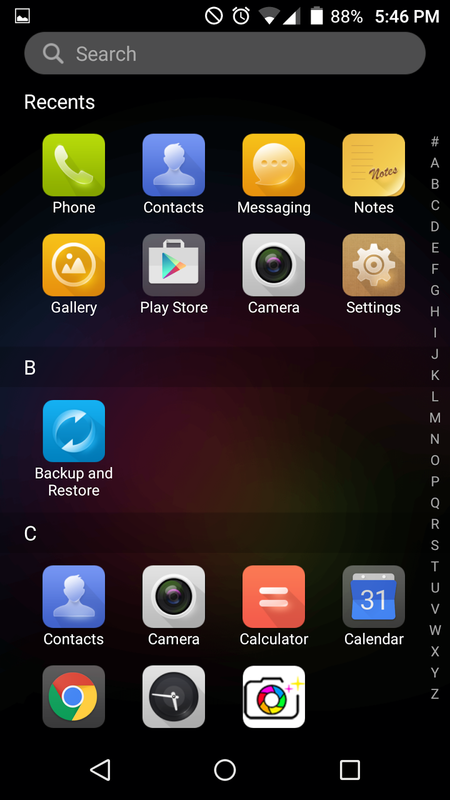 In Noir Z10 there is also an App that is called as Mobile Assist this app gives you three features. 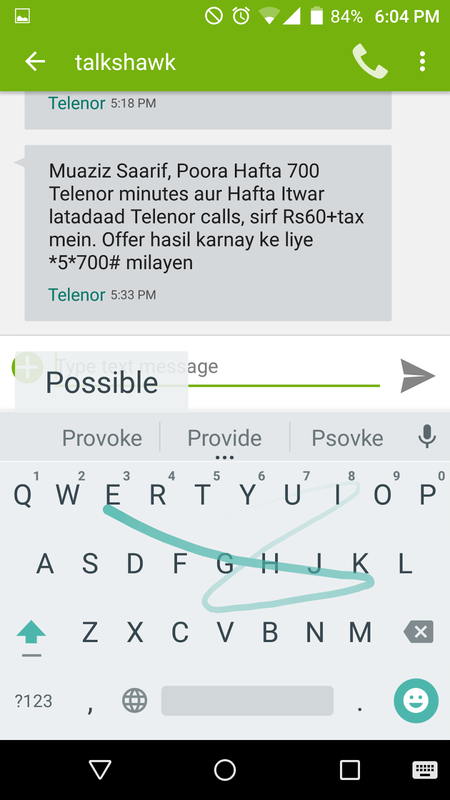 First of all it offers notification stopper. With which you can stop notifications of social media and other annoying apps. 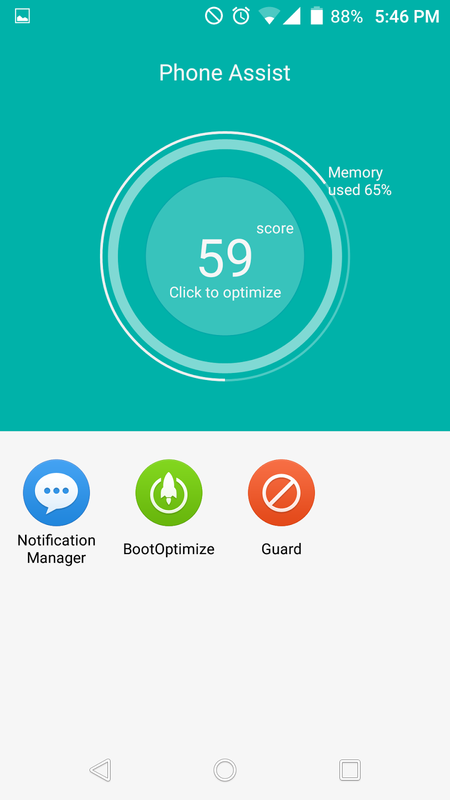 Second it gives a booster by removing unnecessary apps and make your RAM free. Third thing is the "Guard". 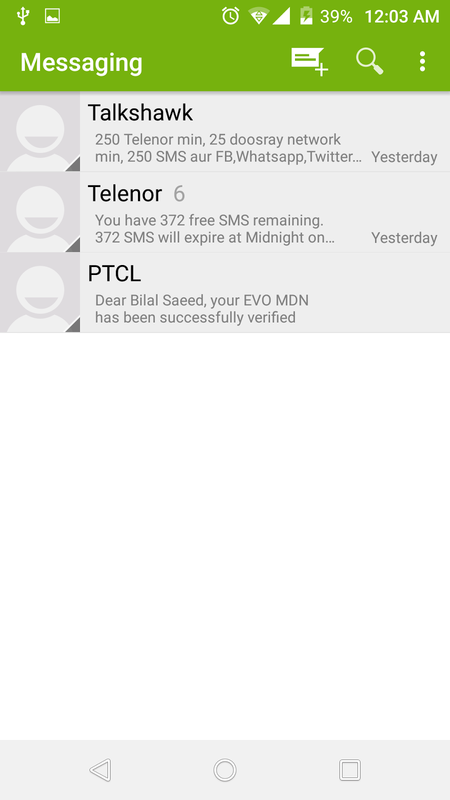 It is a nice tool that give you facility to block undesirable calls and messages. 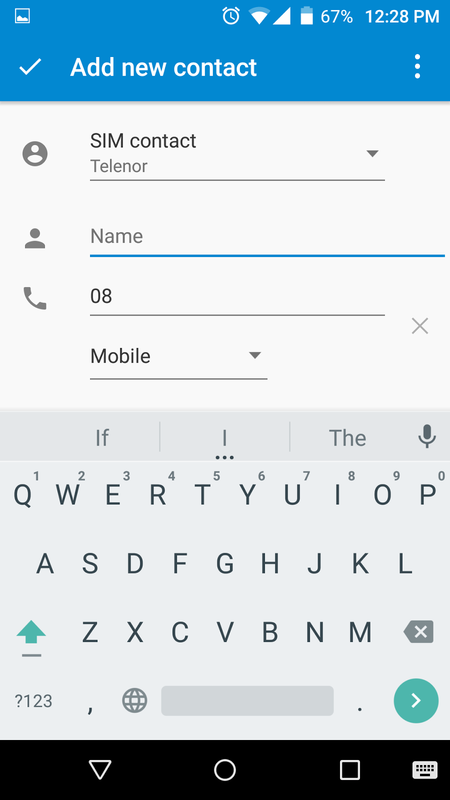 you can add the phone number in blacklist than that number will never become an headache for you. 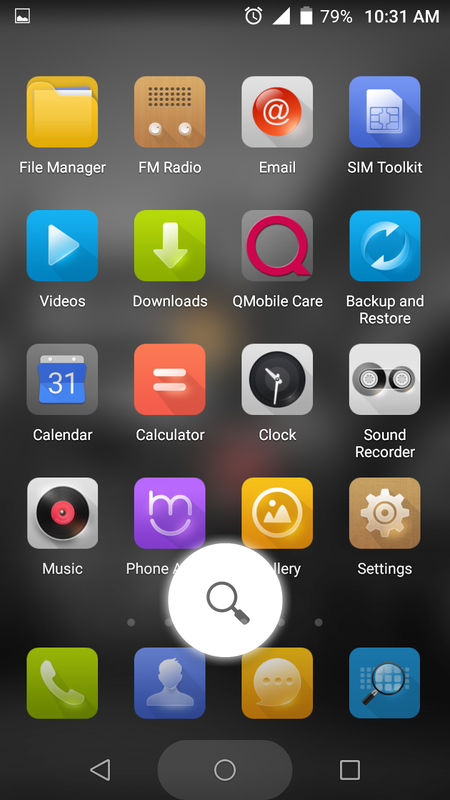 If you press the home button for a while, it appear a search button upside it. 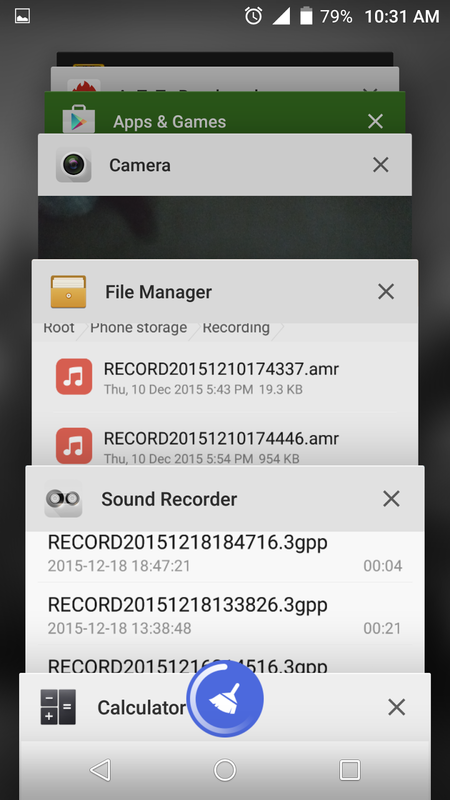 You can search anything in the memory of your phone through this tool. 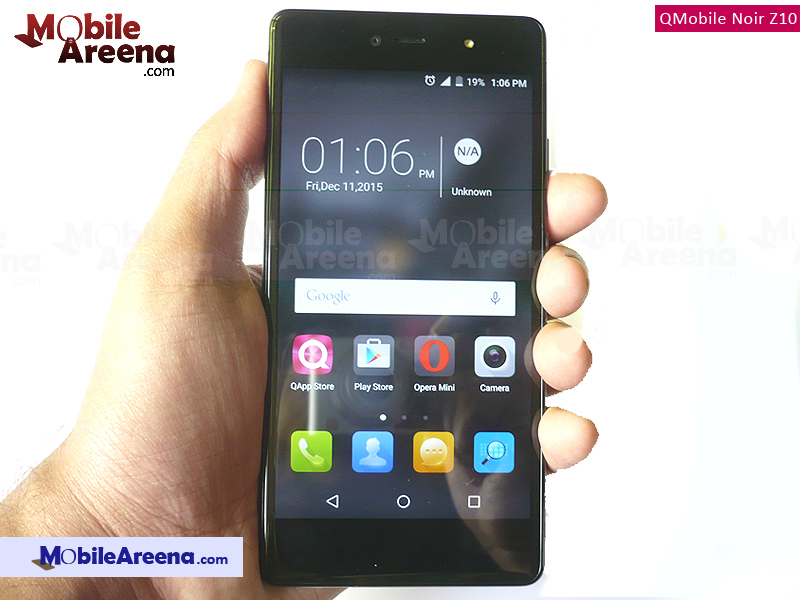 Noir Z10 is an excellent phone when multi-tasking comes in action. 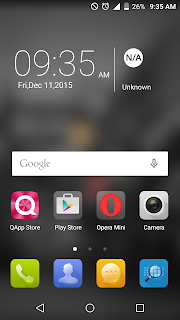 Its multi tasking speed is very fine because of its 3GB RAM. 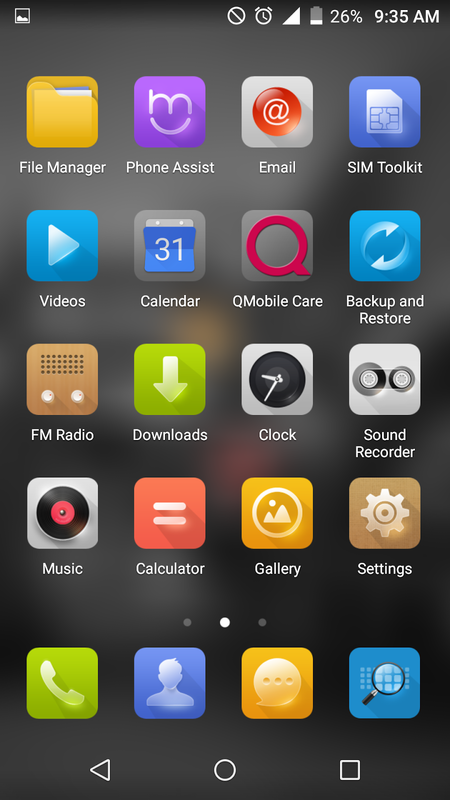 No matter how many apps you have been opened at one time, it handle switching among all the apps very fast and smoothly. 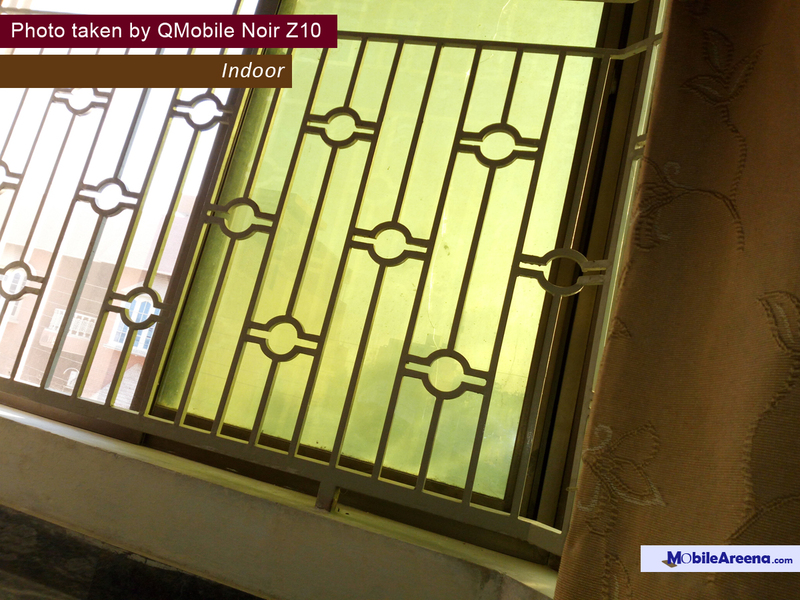 QMobile Noir Z10 gives a nice camera user interface. It has the same view finder for pics and videos. 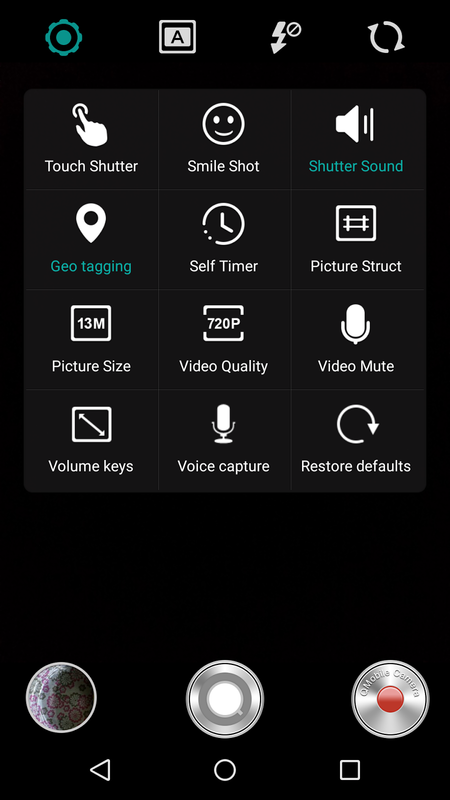 There are two separate buttons to capture an image or start recording a video. 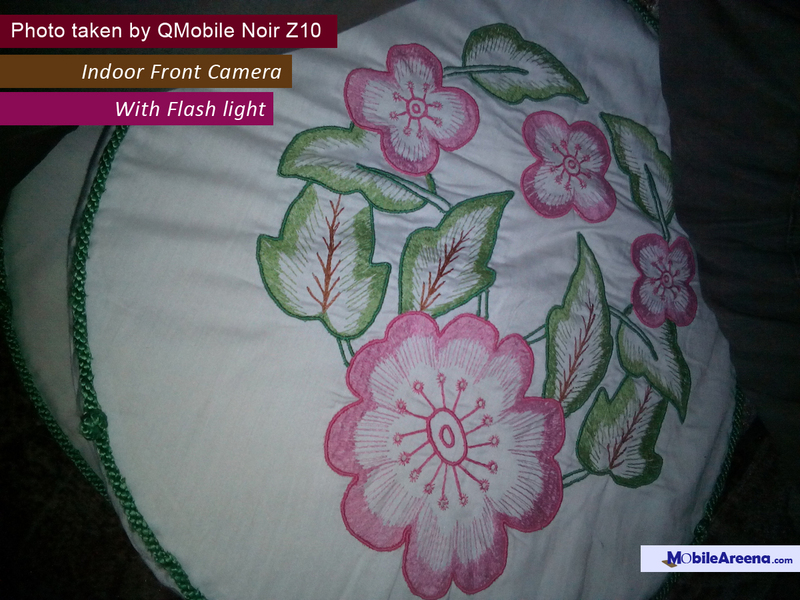 Dual-Camera mood is a new feature that Z10 offers you. 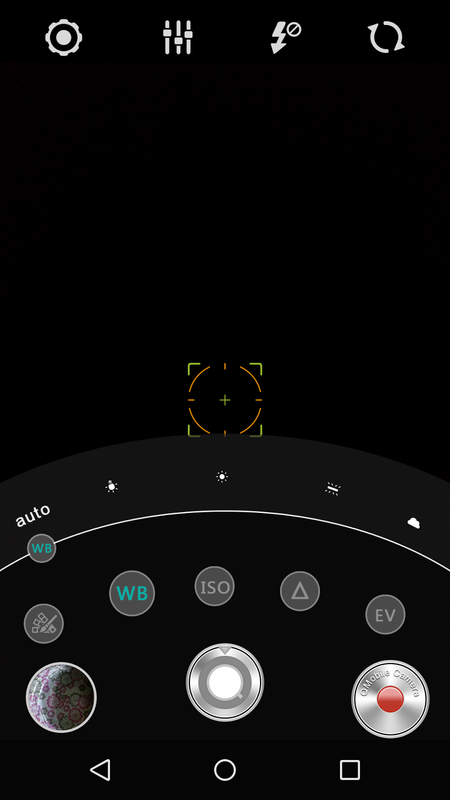 It also give you professional camera controls. 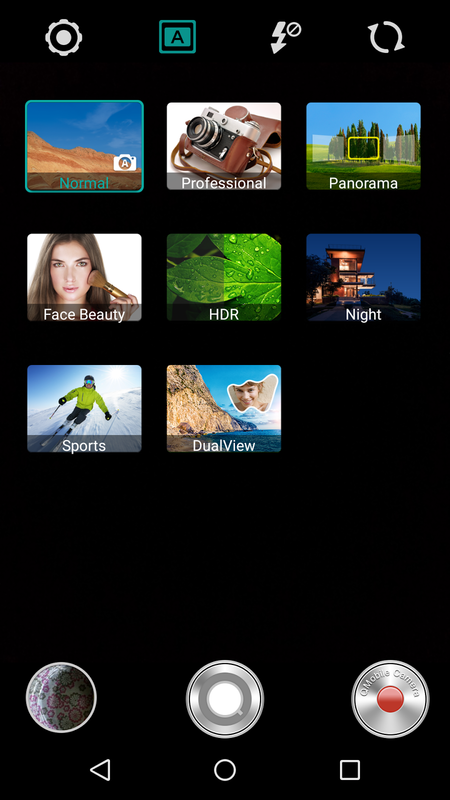 Night Shot, Sports Mood, Panorama, Face beauty and HDR mood are also there to increase the beauty of your shots. 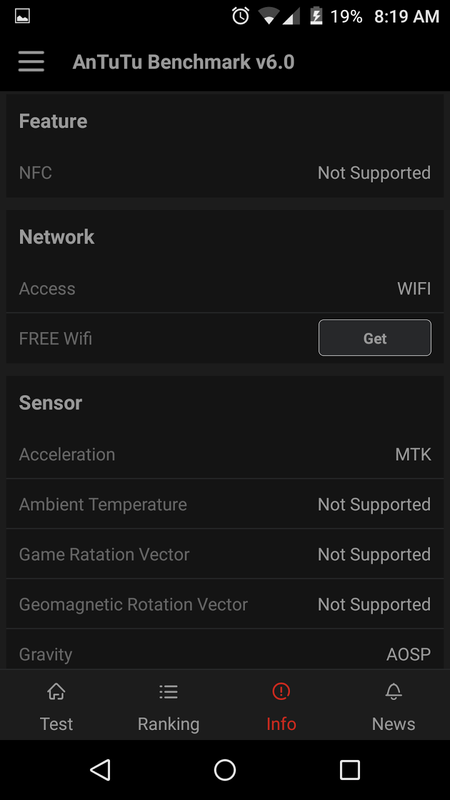 All of the options in setting menu have also been shown below. 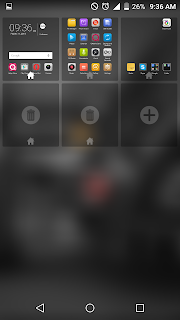 If you press the button located in lower left corner in camera UI, it takes you to last captured image. Its Gallery is also a looker. One pic remains larger and rest of the thumbnails are all of one size. 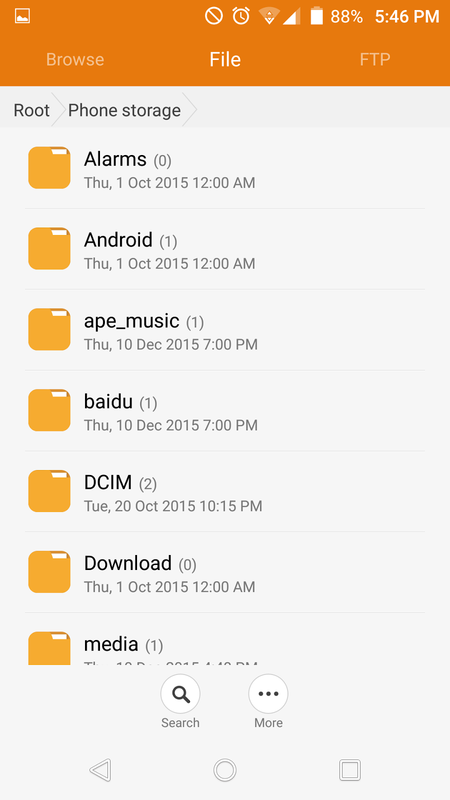 Same is the arrangement whenever you open a folder. 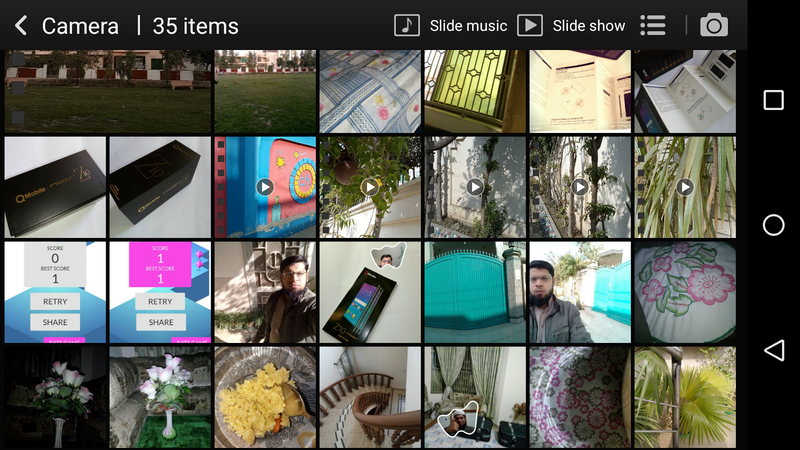 You can also arrange your shots as time line, by geo tagging and you can also filter only videos from the upper tabs. 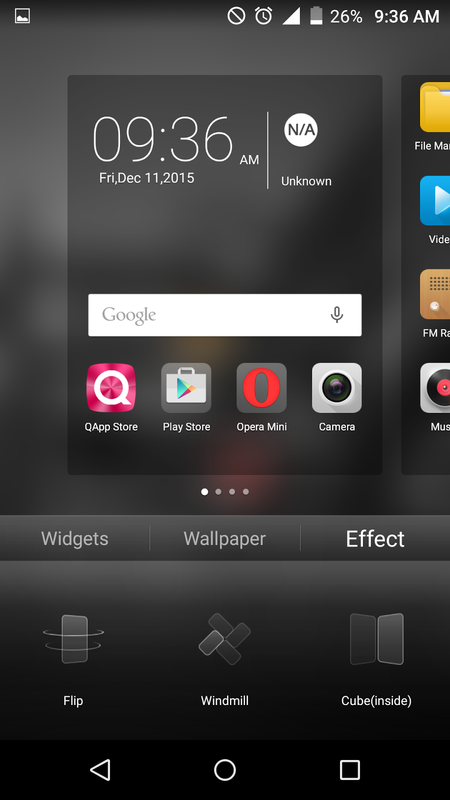 Whenever you open a folder, there is option to start Slide show with adding music of your choice in background. A large number of options are there in sharing menu if you want to share your media online or with any other platform. 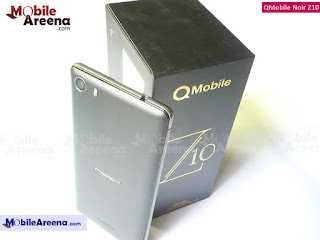 QMobile Noir Z10 has 13.0 MP back camera with a vivid flash light and it front camera is of 5.0 MP. Its primary camera takes best shots in all light conditions. 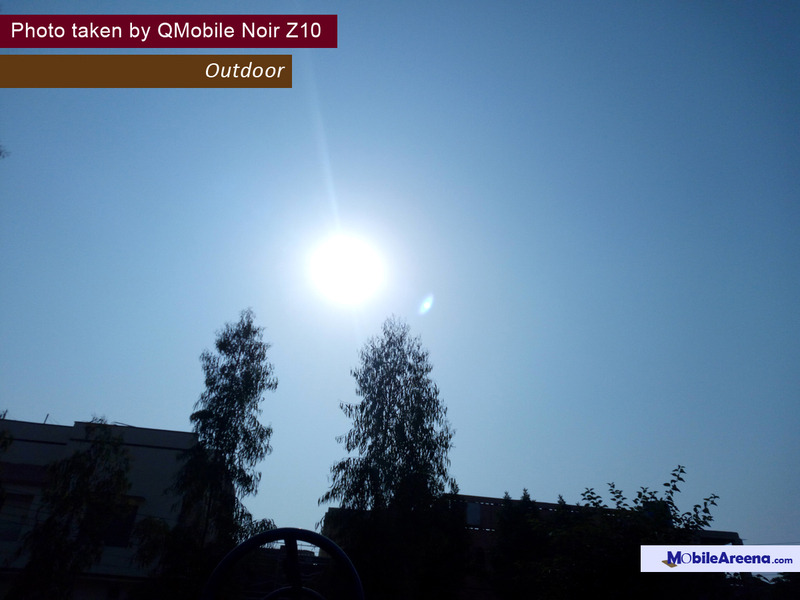 Its outdoor result is very much clear and the color saturation is fine. 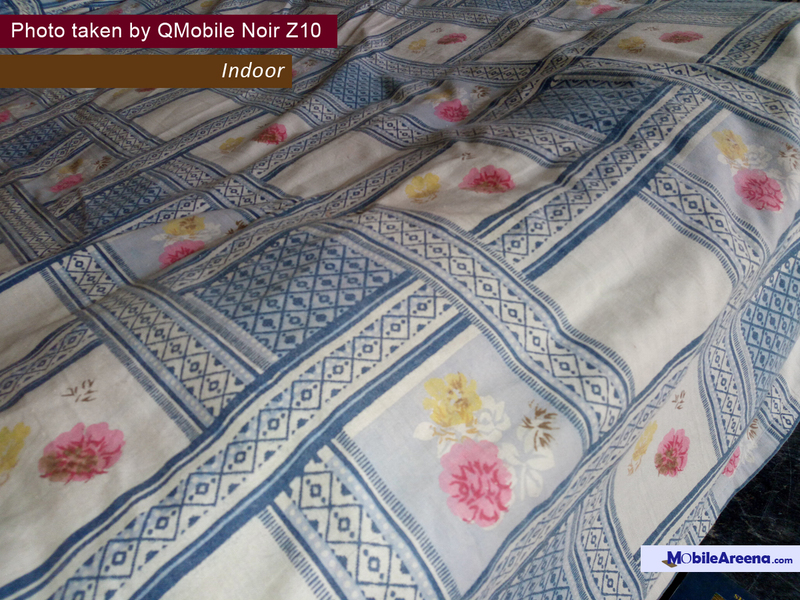 After Noir Z4, its camera is on second number that has really impressed us by its photo quality. 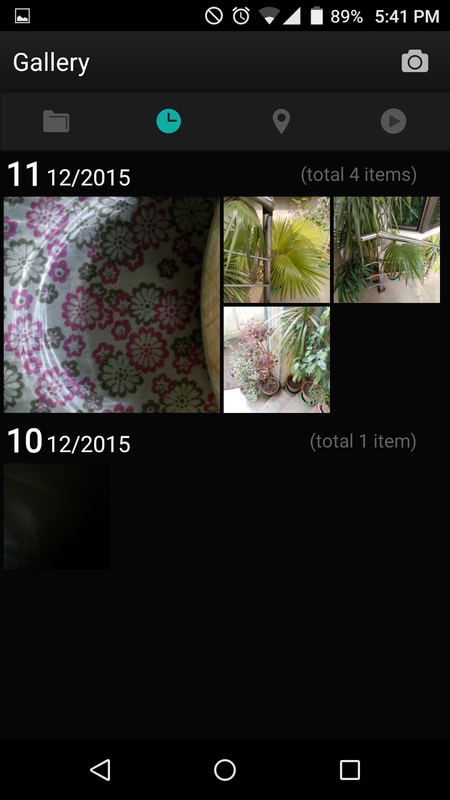 We have shown you sample images below in all the light conditions. 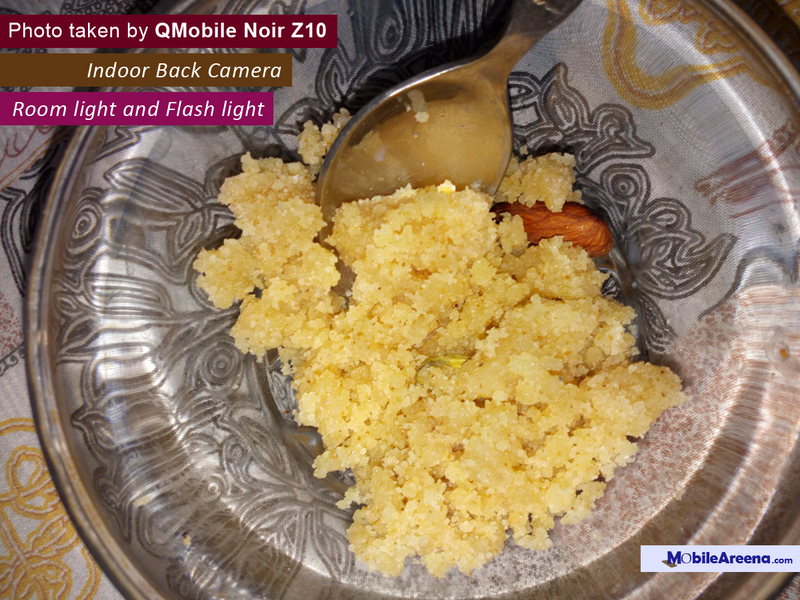 QMobile Noir Z10 is capable of record video upto 1080p @30fps with its back camera. 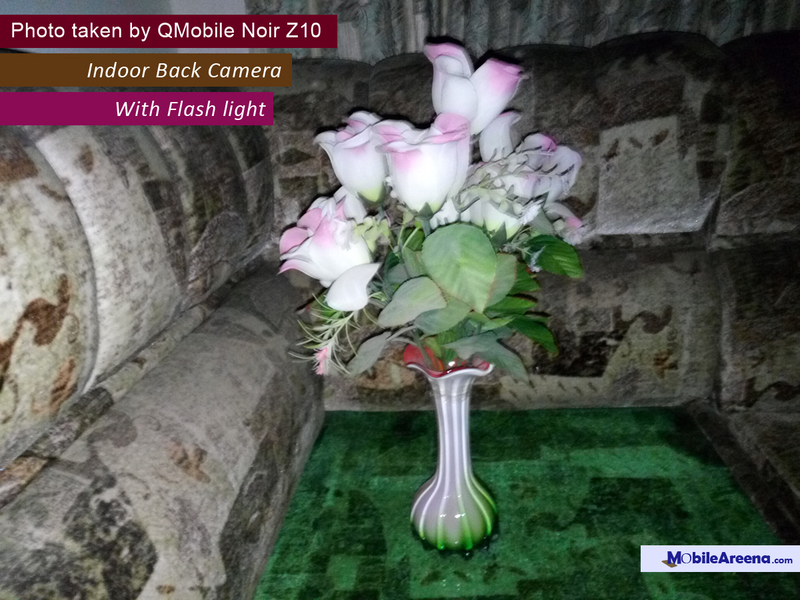 A vivid flash light is also there to record good videos in dark areas. Its focus quality is amazing throughout the recording of a video. 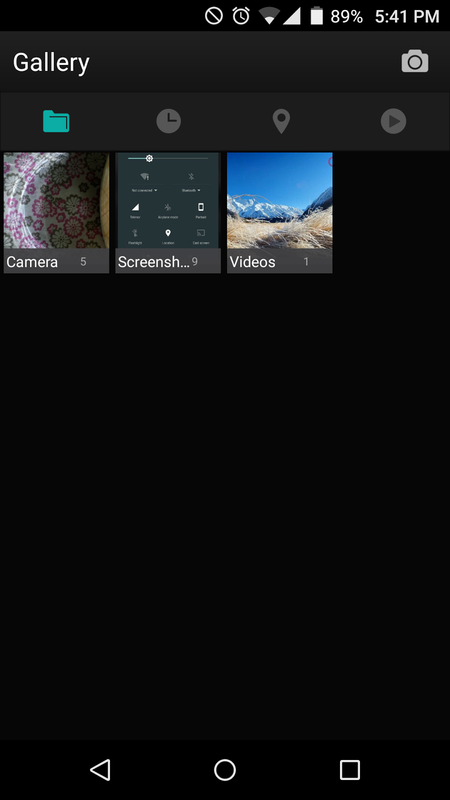 You can also zoom out and zoom in by pinching during a video recording. 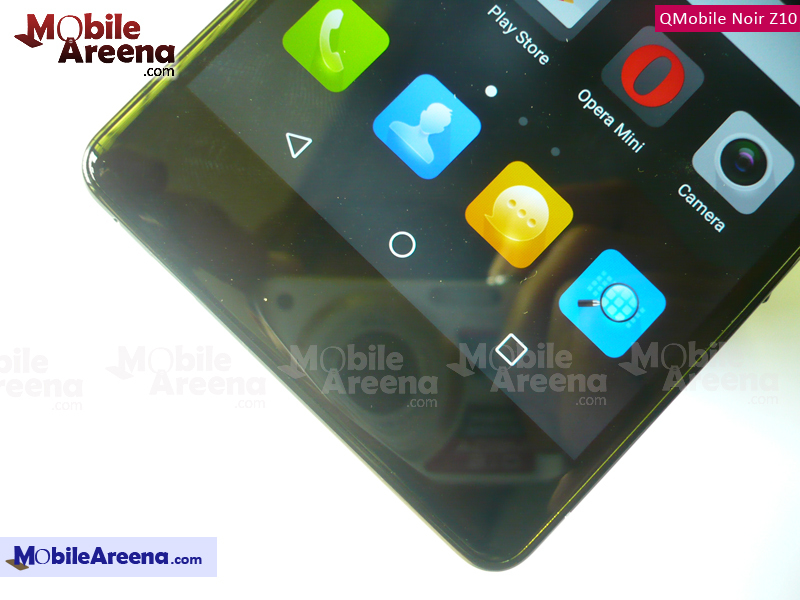 You can dray an "m" on off screen if you want to launch Music App on QMobile noir Z10. (Don't forget to turn on the Awake Gestures). 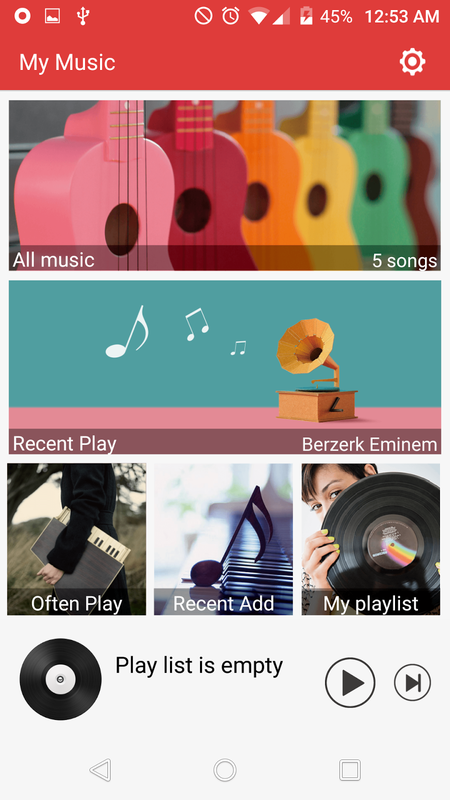 Its music app is very attractive and gives you strong control on all of your audio tracks. Other Awake Gestures are "O" and "C". You can draw "O" on off screen to turn on its flash light and "C" to launch camera instantly. 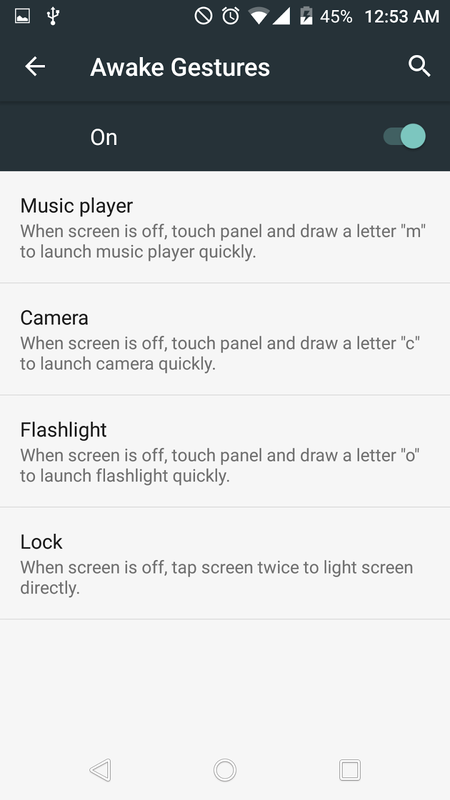 You can also unlock its screen by double tapping on off screen. You can also lock the device by double tap on its home button. Similarly it has some Motion Gestures which we have shown you below. 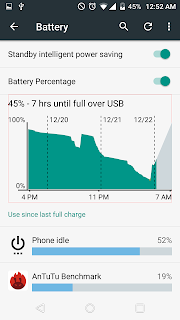 Its battery lasts on 2 days given that you do not connect your phone to internet. But as soon as you connect your phone to internet, its battery goes down with a speed than before. It lasts with you for 4 to 5 hours on continuous use of internet on it. 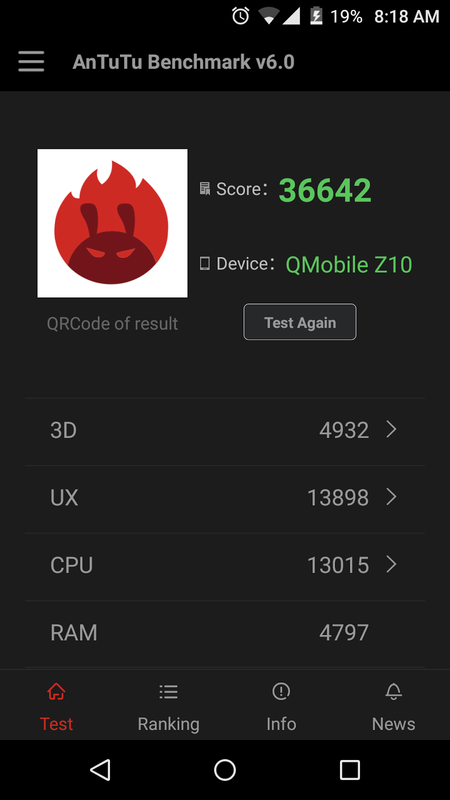 We have run 3D Antutu Benchmark 6.0 on Qmobile Noir Z10 and the result and the details of internal parts are given below. 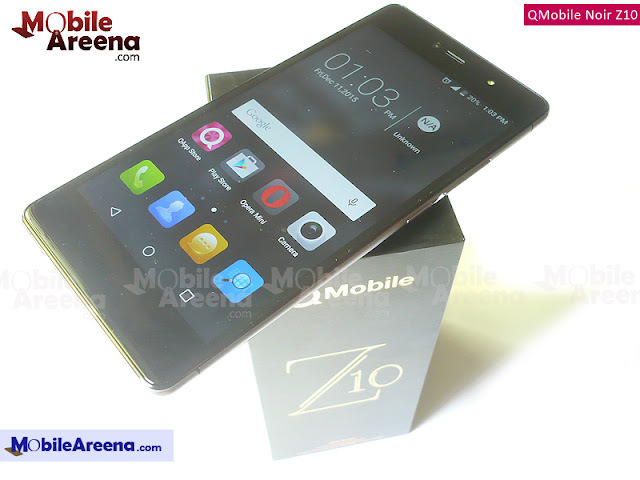 Noir Z10 is an excellent piece of technology in terms of specs, speed and beauty. 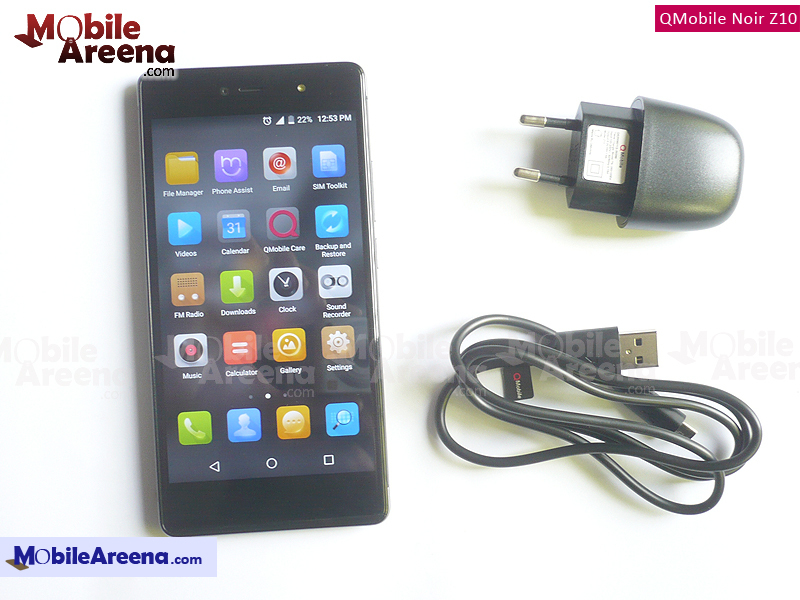 Its score is fine but it is far lesser than the contemporary flagship phones of different companies. But there is a lot of difference in price if we compare it with flagship models of Huawei, Micromax, Samsung, HTC etc. 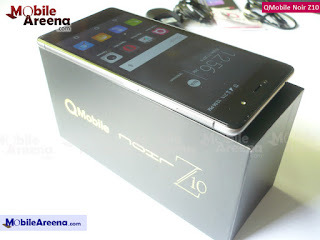 Noir Z10 is far better than pricey flagship phones of other Pakistani companies like Haier, Rivo and Voice etc.